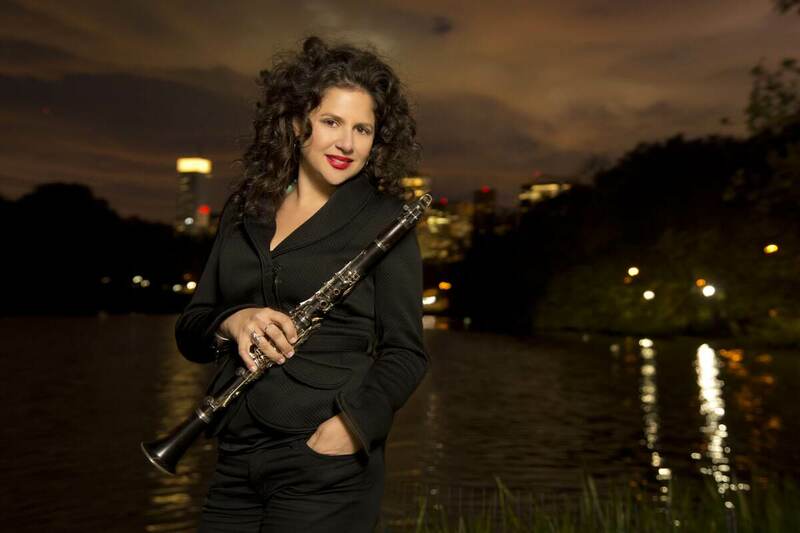 Anat Cohen: Bringing The Clarinet To The World On her latest album, Claroscuro, the jazz clarinetist explores influences that range from Louis Armstrong to Brazilian music to that of her native Israel. It's this desire to adapt the instrument to so many musical traditions that has earned Cohen such acclaim. 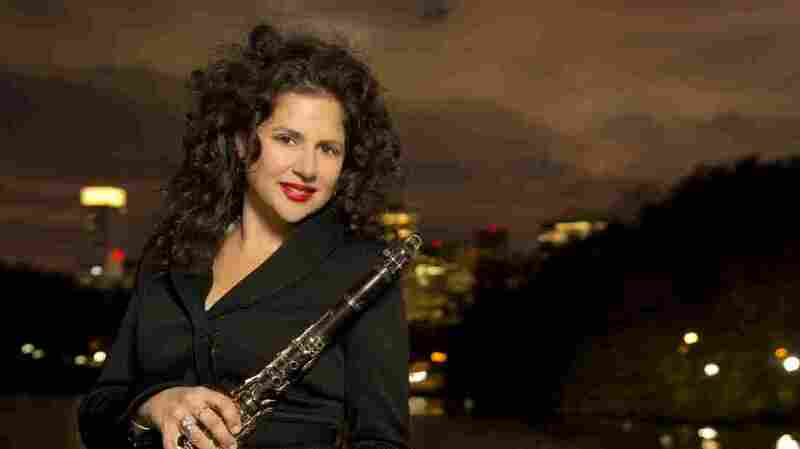 Jazz clarinetist Anat Cohen has a new album out called Claroscuro. "[T]he clarinet is still associated with older styles, with folkloric music," she tells Fresh Air's Terry Gross. "In Israel, the clarinet is associated with klezmer music and more folk music. So I think, in people's minds, it's something that is either dated or too religious. ... I'm working hard to put the clarinet in other scenarios that are not necessarily just folkloric or just traditional. ... I try to bring it to any kind of scenario and find its place." This includes the music of Brazil. Cohen, who first encountered the country through friends she met as a student at Boston's Berklee College of Music, says Brazilians and the people of her native Israel are similar, and that that shock of recognition formed the spark of her initial attraction. "We have this casual way of being with each other," she says. "But one thing that is different is they are much less suspicious of people that they don't know. And that's something that I found fascinating. ... We have an expression in Israel saying, 'Respect and suspect at the same time,' because you always want to know, 'What is this person about? And what are they after? And can I trust them?' And something about the nature of Brazilian people [is like], 'Okay, you're here, you're somebody's friend, you're our friends, we're all together, let's all be together.' And it applies to music. ... [T]he music is for everybody. The music is for the people. Everybody sings together." "It's kind of a no-no in the clarinet world, in the legit way of playing. But, you know, when you play jazz, I think, that the search for expression — that's what it's about. And if I want to say something and whisper it ... the air has an effect. It's like you're talking to someone, and you speak with more air in your voice. It gives a certain feeling. So it's just another vocabulary of sounds." "It was so new to me because, you know, that's not what you hear normally on the radio in Israel. So I just fell in love with the way it felt ... playing with everybody, everybody playing together, counter lines, trombone is playing melody, the other trumpet and clarinet playing lines behind it. Then, you get up and play a solo for 32 bars and that's it: Nothing is too exhausting, nothing is too long. It's just beautiful feeling. Everybody's smiling, everybody's happy. The music of New Orleans has this joy." "Cantors have an influence on anybody that listens, that is there. Because here is someone that is speaking out of their hearts and using one single melody, and all they do is express it in the most heartfelt way. And as a jazz musician — or as any musician — of course it would have an influence. I mean, that's what I try to do when I play music, when I play any music: When I play a cadence at the end of a song, you want to take one note and make it meaningful. And if you hear a cantor and they're doing it right, you're going to be so moved."